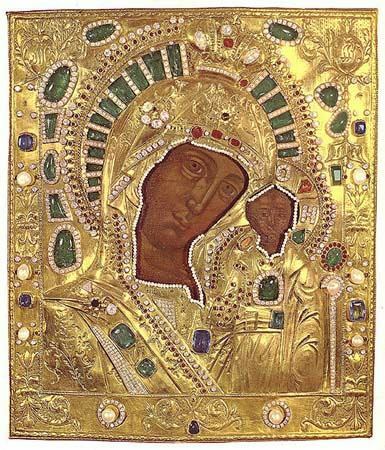 The Sisterhood of the Cathedral, dedicated to the Kazan Icon of the Mother of God, unites the women of the Cathedral to aid in the upkeep and beautification of the Cathedral. The Sisterhood, under the direction of head sister Angelica Kalancha, organizes a hot lunch meal after the Divine Liturgy every Sunday. In addition, the sisterhood organizes many events thoughout the year to benefit the Cathedral, including a summer picnic and holiday bazaar. The sisterhood has a kiosk which has a number of products for sale.